In case you haven’t noticed, I am a huge fan of Amazon. (As mentioned here). Just when I felt my love for the Seattle-based company was at full capacity, Amazon.com proved it was possible to squeeze a little more love out of this heart of mine. 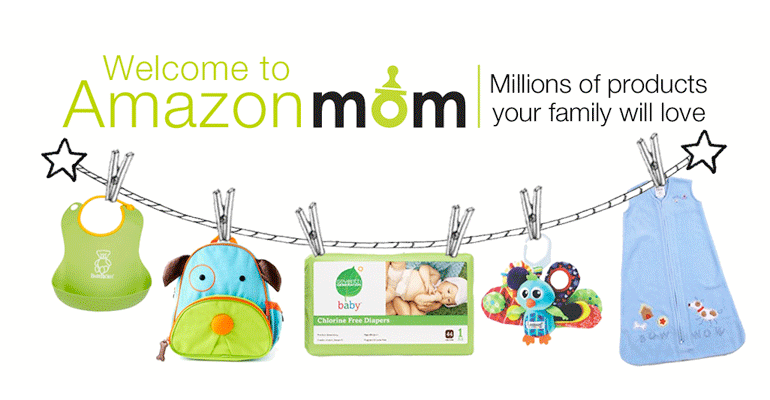 The fabulous new program for parents, Amazon Mom definitely tugs at my heartstrings, not to mention helps pull in the purse strings. The savings are insane! 30% off on diapers and wipes AND two-day free shipping with Amazon Prime?! Need I say more? **Not a parent, but still want the perks? Check out Amazon for students. Good lookin’ out Amazon! Those who know me, know my obsession with AmazonFresh. I’m completely aware of this obsession and to be perfectly honest, I will defend this obsession to my death (or at least until they forget a delivery or something of that nature). However, I have been using the fabulous AmazonFresh delivery service for 6 months or so and swear by it! The choice was simple really. I can go to the grocery store with two children under the age of three OR I can use an online ordering system to order organic fresh groceries and beyond while saving money, saving time AND sitting in my pajamas. I opted for the latter. Did I mention they brought a bouquet of flowers on my first delivery and a free cupcake on Mother’s Day!? I appreciated both. 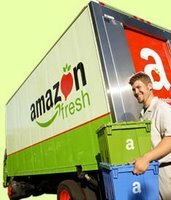 While I could go on and on about AmazonFresh having the least expensive priced diapers, or their pre-dawn delivery service which allows me to shop at 11:30pm and have groceries delivered by 6:30am the following morning, I will stop, but not before leaving you with a promo code for first time users to receive a “free” insulated lunch bag with a minimum $30 purchase. How can you resist really? Fair Balance: I’m sorry to my followers outside of the Seattle area where AmazonFresh is currently not available. However, be looking for their cute little trucks coming to an area near you!